Outcast - Second Contact has received a exploration-focused gameplay video, and will be launching on PC, PS4, and Xbox One in October. Appeal Studio and Bigben Interactive release yet another gameplay video for the upcoming Outcast – Second Contact today. This video focuses on exploration, and shows off some of the game’s different environments and interaction with their inhabitants. The developers have also narrowed the game’s vague “fall” release window to this October, though a specific date was not given. 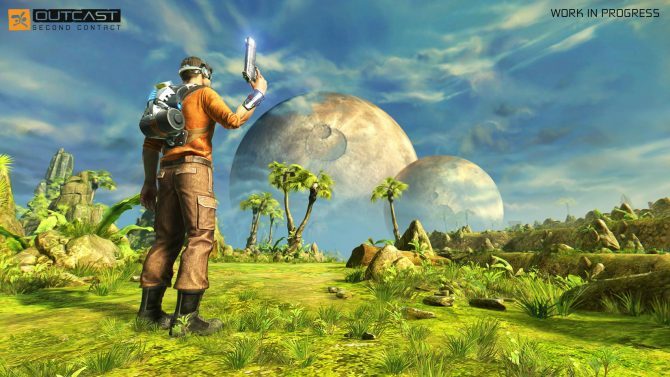 For those who don’t know, Outcast – Second Contact is a remake of the classic action adventure game Outcast, which innovated in quite a few ways, such as having a large open world for players to explore, Adelpha. While the game was very successful, the series never continued due to bankruptcy issues surrounding it’s developer, Appeal. Luckily, the original developers were able to re-acquire the rights and start working on a remake. The game’s world is fairly dynamic too, especially when you think about the time the original Outcast was released. Adelpha contains six different regions for players to explore, all of which can be accessed from the start of the game, though some areas can be harder for the player than others. 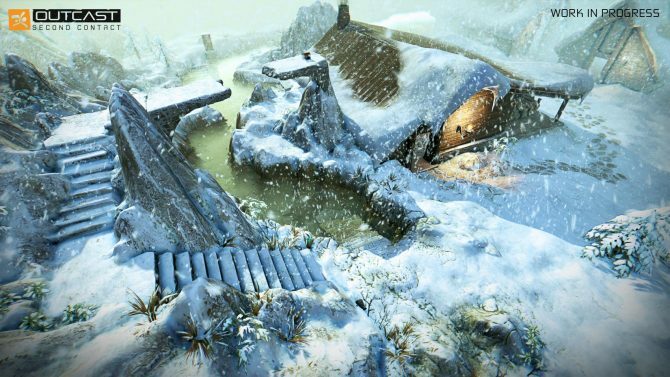 Players can jump to the different regions through Daokas, which are ancient gateways. Some player actions will also have a direct impact on the world; in the video, we see a mechanic alien getting mad at the hero when he destroys one of his machines. You can check out the new exploration-focused gameplay video below. 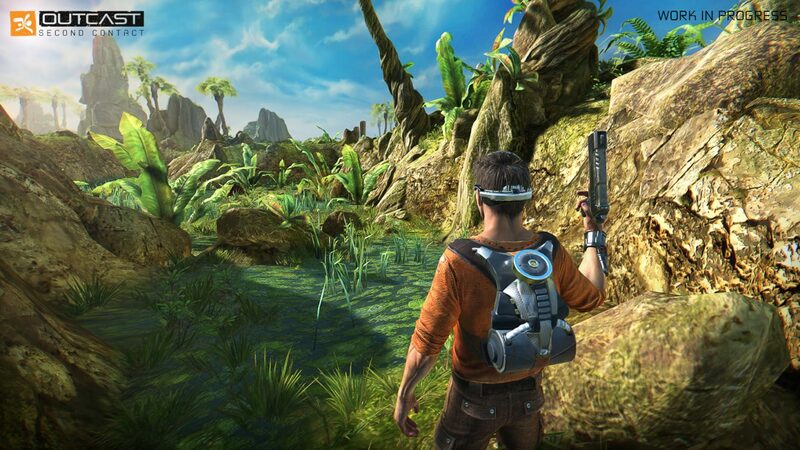 Outcast – Second Contact will release on PC, PS4, and Xbox One this October. 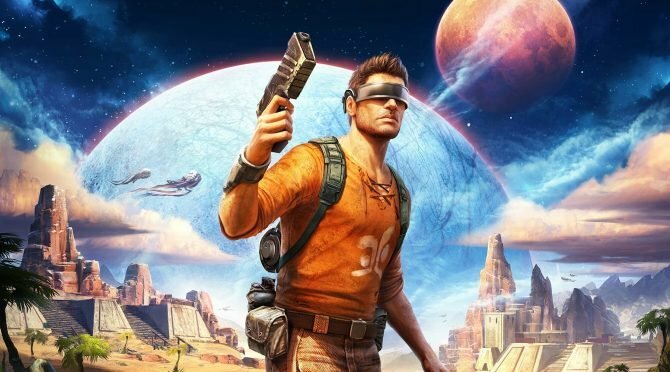 THQ Nordic has acquired the rights to the Outcast IP, which was recently remade as Outcast: Second Contact for PC, PS4, and Xbox One.